Get ready for the spring break with the new goodies from the TISA Shop – including BPA-free TISA-logo water bottles, custom-made T-shirts (with your name printed at the back! 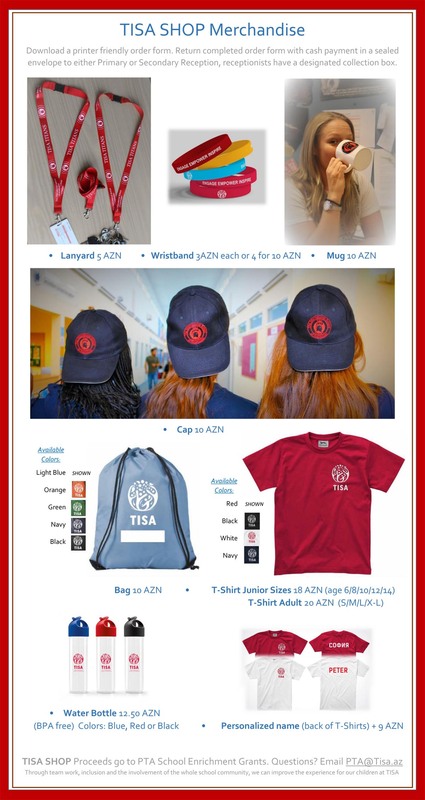 ), mugs, lanyards, sports bags, and other merchandise for TISA friends. TISA Shop now also sports a brand-new easy way to shop from home – you may find full details in this announcement. 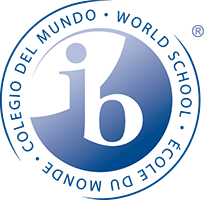 Hurry – orders received by March 9th will be delivered to a child’s classroom before the Novruz break. All proceeds go to the PTA School Enrichment Grants. To download printer-friendly TISA Shop order form, follow this link. Drop off your completed form with enclosed payment at the Primary or Secondary reception desk. You may contact pta@tisa.az for questions or special requests.